Sundays by far are the best days. A family day, a breathe easy day, a fun day. Spending time with my favorite people and at most, relaxing. 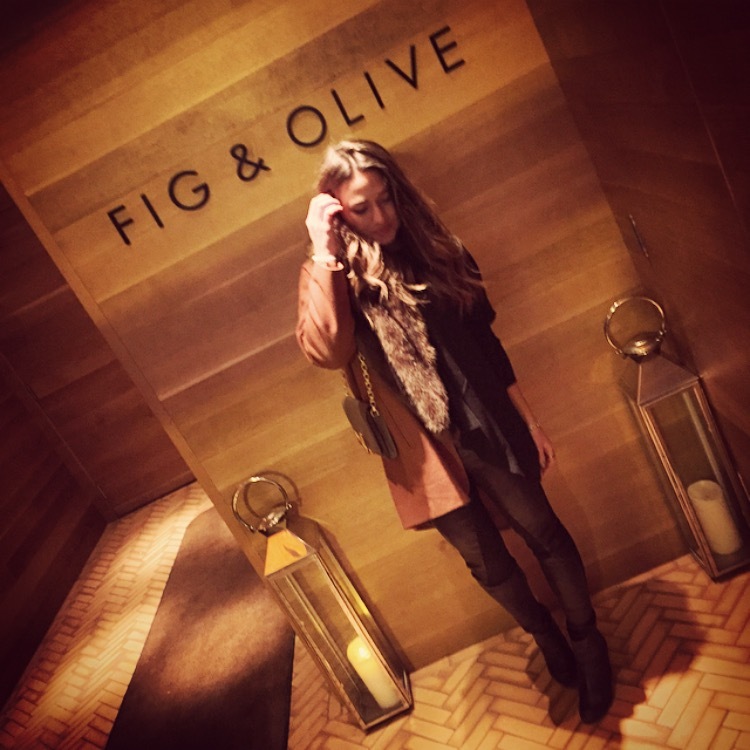 An unplanned stroll down Oak Street lead to Fig and Olive for some Malbec and beef carpaccio. If you have yet to try the beef carpaccio from Fig and Olive, my advice to you is, don’t waste another second. Super light and delectable. Long story short, it’s amazing. 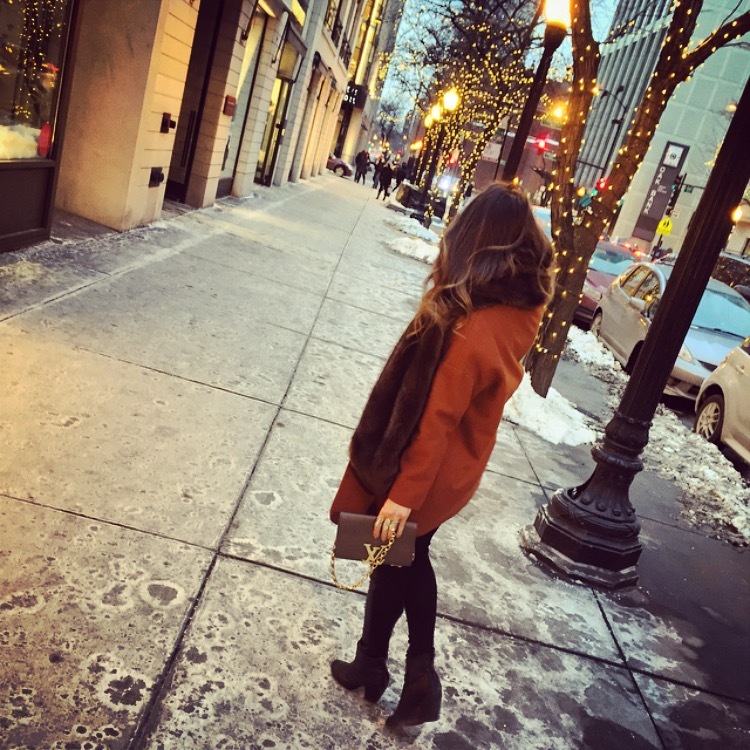 Frolicking around in my favorite basics: helmut lang leather leggings (similar here) generation bliss sweater (similar here) rag and bone booties (here) top shop camel coat (similar here) zara fur stole (similar here) louis vuitton clutch.